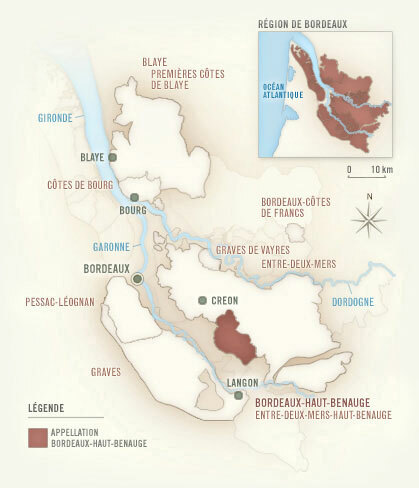 Chateau blahblahblah, 2007 Bordeaux Superieur | the wine snob. I am just kidding. I take wine VERY seriously, and I would absolutely NEVER make such a slight against this lovely bottle of French wine. 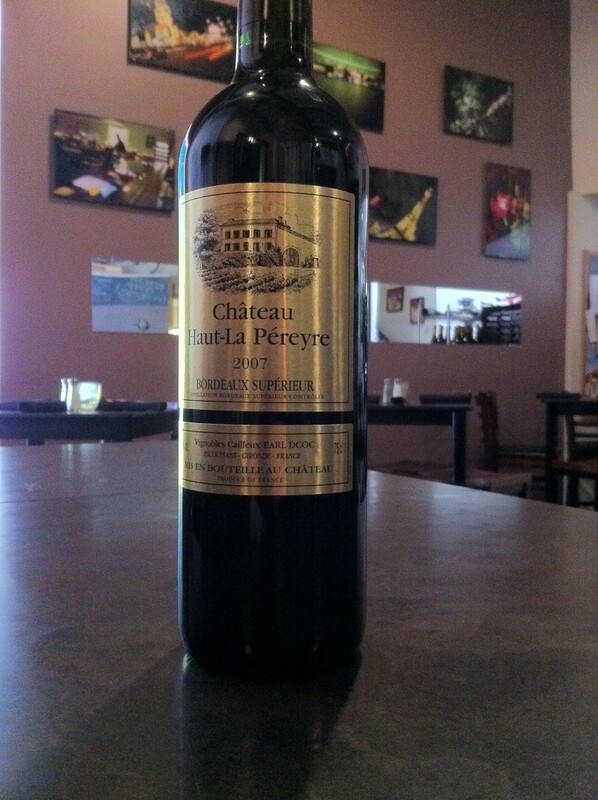 It’s proper name is Chateau Haut-La Pereyre, 2007 Bordeaux Superieur. Okay, true confession… I just spent a good five minutes Googling how to properly pronounce the name of this winery, but get this- they have no website (that I can find) and basically I have such a short attention span and get so intensely irritated when something cannot be Googled and resolved within five minutes, that I have elected to stop searching. French has always been difficult for me- maybe it’s because I studied Spanish and my brain automatically wants to apply Spanish rules to French, which ultimately leads to disaster and embarressment. Spanish makes sense to me- French does not. Whenever I try to say something properly, I always feel like I’m saying it wrong and people will laugh at me. So here’s my best guess- I know “Haut” is “oat,” and “Pereyre” is maybe something like “Pear-yay.” There you go. Now I feel stupid. French wine makes sense, though- which leads me back to my original point- we’re going to call this one Chateau blahblahblah for now, so that we can discuss how utterly fantastic this wine is, and not have to worry about how to pronounce it! Okay?? Okay. Alright, let’s get started, shall we?! This wine is ABSURDLY good! You may remember from one of my last posts about French wines, when I was obsessing about the Domaine Lalaurie Marselan- that when I find a French wine that I like, I do tend to- well, like I just said- obsess. Truly, it doesn’t happen that often, as most French wines I’ve been blown away by have also been very expensive and being paid for by someone other than me. And in order for me to get into full-on obsession mode, it HAS to be reasonably priced. Because how exciting can a wine be if you can’t afford to drink it?? Exactly. Moving on. So many beautiful aromatics on this wine’s nose! Vanilla, cloves, cinnamon and black fruits are very densely accummulated in the glass. The palate gives you a very distinct punch of graphite, minerality, thyme, and meatiness. Everything is so seamlessly interwoven and nicely concentrated. It’s only 13% alcohol, which means it’s a perfect wine to sip on for the duration of the evening. Ever try to drink Zinfandel all night? not pretty. Trust me. This wine, you can really invite in for the night. Sit down on the couch with it, in front of the fire. Now I’m really starting to sound like a single person, I suppose. It would be tragic if this wine really wasn’t a better companion than most of the single male population of the Columbia area. (I kid, I kid). a cute graphic of where exactly this wine comes from! if you care. You know what? that’s really all I have to say about this. Oh, AND you can buy it at the Wine Sale at Cellar on Greene TOMORROW, 12/4 for $18!! Yeah, that part is pretty cool. You were right about this Bordeaux. Very yummy! It’s pronounced, “OH la PEAR-air”.